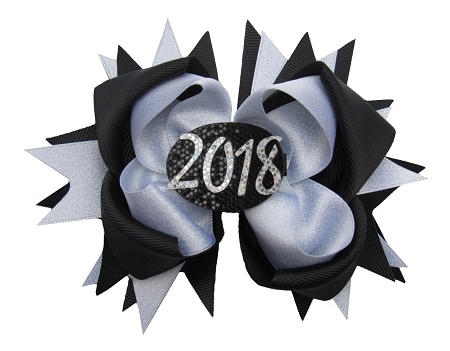 This listing is for a Boutique-style New Year's Eve or Graduation Grosgrain Ribbon Hair Bow Set! JUST PRECIOUS! The Hairbow is hand-made by me! 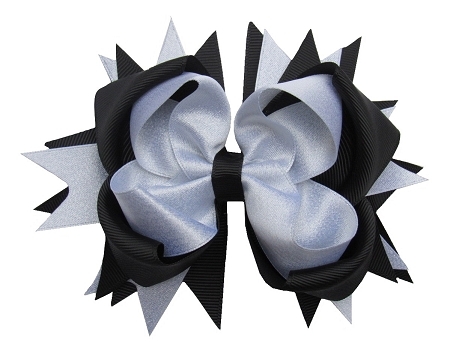 The Hair Bow is made out of black grosgrain and silver sparkly ribbons! The Boutique Bow is approx. 3.75 inches long by 4.5 inches wide. 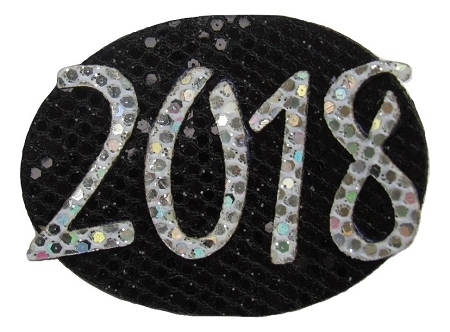 The Ribbon Sculpture is a sparkly black oval with "2018" in silver sparkles! 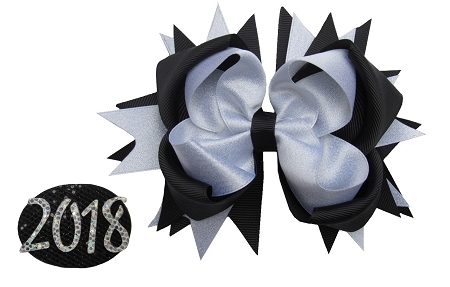 The Ribbon Sculpture can be worn separate or clipped on the Bow for a new look! Both Bows are mounted on an Alligator Clippie that is lined with black ribbon! 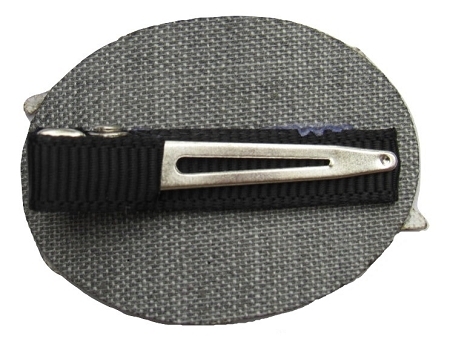 All ends are heat sealed to prevent fraying! BEAUTIFUL! WOULD BE SUPER CUTE TO WEAR FOR NEW YEAR'S EVE PARTY, DURING GRADUATION, SENIORS GIFTS, OR EVEN FOR TEACHERS! Check out my store for other hairbow colors & styles!